The Changbaishan volcano is an active and considerably hazardous volcano located on the border of China and North Korea. 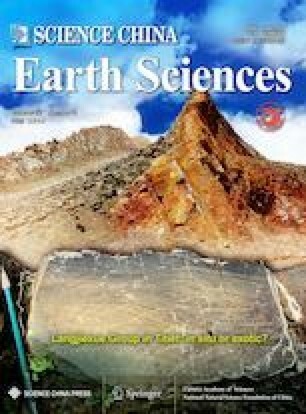 This paper summarizes a series of geophysical surveys as well as seismological and volcano-observational networks around the Changbaishan volcanic area. We characterize deep structures related to the Changbaishan volcanic area. The prominent low-velocity anomalies and low-resistance bodies associated with the magma system under the Changbaishan volcano were detected in the crust and upper mantle, and high-velocity anomalies were imaged within the mantle transition zone, suggesting that the origin of the Changbaishan volcano is related to the subducted Pacific slab. However, there exist a few major obstacles for comprehensively elucidating the deep structure of the Changbaishan volcano as well as for the preparedness for and response toward future volcanic unrest and activity. It is essential to collect data from both China and Korean Peninsula to image the deep structure beneath the Changbaishan volcanic area. A multi-disciplinary approach comprising seismological investigations, deformation information from GNSS and InSar, and gravity and magnetotelluric surveying is a reliable manner for imaging high-resolution structures and fluid movement for the spatial distribution and variation of the volcanic magma chamber. An effective volcano-monitoring network system is considerably important to improve hazard assessments and characterize the potential future eruption of the Changbaishan volcano. We would like to thank all reviewers for their helpful and constructive opinions as well as suggestions to improve this paper. This research was supported by the National Natural Science Foundation of China (Grant Nos. 41474041 and 41774058) and the Strategic Priority Research Program of Chinese Academy of Sciences (Grant No. XDB18000000).